Lately Graševina is not the only association when it comes to continental white wine. One of the reasons is certainly quiet expansion of Sauvignon grapes. Kraljevo brdo and Busija are locations from which this Sauvignon originates. Saltwater refers to the geological texture of terroir, "the mystery of salty underground lake" Erdut vineyards. Winemaking process is a combination of 80% stainless steel and 20% barrels of Slavonian and French oak, aging 3 months on the lees (battonage method). 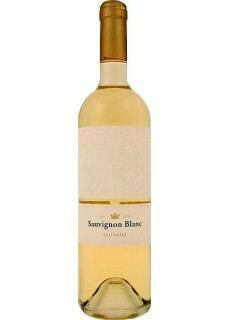 Freshness, vitality and abundance of elderberry flowers on the nose with touch of herbal nuances and minerality are typical varietal aromas of this fresh Sauvignon. Food pairing: Fried seafood, fresh Mediterranean cuisine and asparagus.